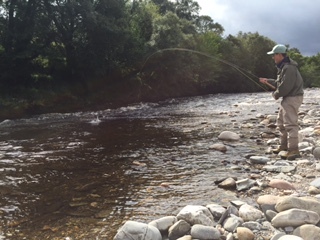 A young Willington Angling Club member tackles the River Deveron, his dad watches on from behind the camera as he fishes through a promising pool. You may have seen reports in the Northern Echo and on Tyne Tees news about Signal Crayfish being discovered in the River Guanless. We have two kinds of Crayfish, White Clawed Crayfish are native and do not pose a threat, Red Clawed American Cray Fish were introduced to this country commercially, their spread is rapid and the damage they cause is significant. We cannot put the genie back in the bottle and preventing the spread of these unwelcome arrivals is not realistic but we can take some precautions to prevent spreading them oursleves. Please go the the information on this site to learn how you can play your part. This can be found under the heading ABOUT W&DAC and is headed: Invasive Species. North American Signal Crayfish. It is important that any angler who is moving from water to water, river to river, follows some basic best practice to avoid transporting the problem on your equipment or clothing. Please take a little time to make yourself aware. Thank you. The guage at Witton Park peaked above 1 metre last night, a welcome rise in the river level and great news for the large numbers of fish waiting below Chester-le-Street for water to run. If the fishing is good please let us know. 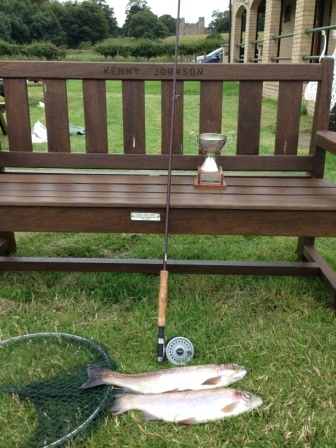 Record Fish Counts for July ?